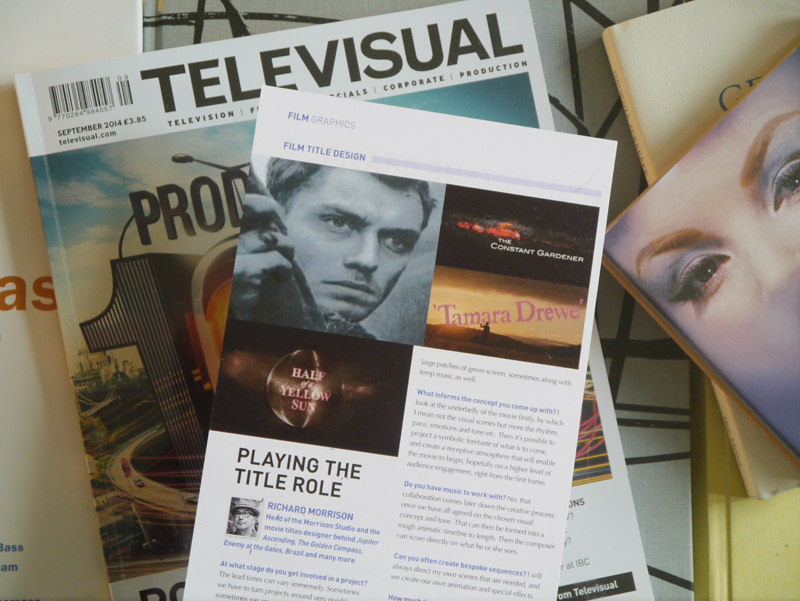 We are delighted to be featured in this months (September) issue of Televisual. Q: At what stage of the film’s life do you get involved in a project? A:The lead times we have can vary immensely, sometimes we have to turn projects around very quickly and sometimes we are involved very early on. Since we've been in this business more than 30 years, our clients know we can offer more than opening and closing sequences, for example - sometimes we are called upon to offer consultancy for clients to make recommendations about the structure of their films and series before they are finalized, to help them with keeping the momentum and engagement of the audience throughout the feature. Q: How are you briefed? And who are you briefed by? A: That has two answers firstly we have repeat clients like Tim Burton and Stephen Frears who come straight to us on a non-competitive basis. Then there is the first time directors or producers, who we like to chat and share our joint passions in film, TV and life in general. This gives us all a good start and helps build trust from the outset, and luckily we are all still in a people driven business. Also on both cases we like to read the script. Second meetings and briefings could well involve the executives from the studio like Warner Bros. or TV Channel etc. Q: Are you able to see the finished film before you begin? A: Yes we would see rough-cut scenes and then followed by a first assembly of the entire movie, which normally is over length and these days with large patches of ‘green screen’, sometimes along with temp music as well. Q: What informs the concept you come up with? A: Looking at the under belly of the movie firstly. By which I mean not the visual scenes but more the rhythm, pace, emotions and tone etc. Then it is possible to project a symbolic foretaste of what is to come, and create a receptive atmosphere that will enable the movie to begin hopefully on a higher level of audience engagement, right from the first frame. Q: Do you have music to work with? A: No that collaboration comes later down the creative process, once we have all agreed on the chosen visual concept and tone. This can now be formed into a rough animatic timeline to length. Then the composer can score directly on what he or she sees. Q: Do you come up with a variety of routes and then the producer or director chooses one? A: It depends, sometimes one idea becomes very clear in the thinking. Sometimes it needs a selection of thoughts. Q: Can you often create bespoke sequences, are you able to shoot things yourself, use animation? A: Starting from a blank piece of paper and an open mind. The passion and joy is to see the life come into the sequence by each member of our team adding to the overall communication of the sequence. I will always direct my own scenes that are needed, and we create our own animation and special effects. Q: How much time do you get to produce the titles? A: On average, around 3 to 4 months, depending on what is involved. We have been known to work on sequences for more than 8 months, such as Jupiter Ascending. Q: Is there a good budget for the titles, or are you at the end of the financial chain? A: Budgets work in accordance to the size scale of the movie at hand. We work across the board, large and small each has its own rewards and problems to win over. We also bear in mind small first time director or production companies today could turn out to be the biggest in time. Q: Do you work on your own or is a team involved? Who else is involved? A: The Morrison Studio is a collective. We build individual teams for each project, whether it is a studio motion picture, independent production, interstitial or branding project. It is essential that our team has the highest calibre of creatives, VFX artists, and technicians involved relative to the skill sets required. Q: What is the secret to great title design? A: Lots of factors, but essentially I would say a good script. Then It can be pushed creatively. What a bumper month for us, as 4 of OUR LATEST TITLES GO OUT ON DVD within days of each other! With the World Cup having come to a close this weekend. 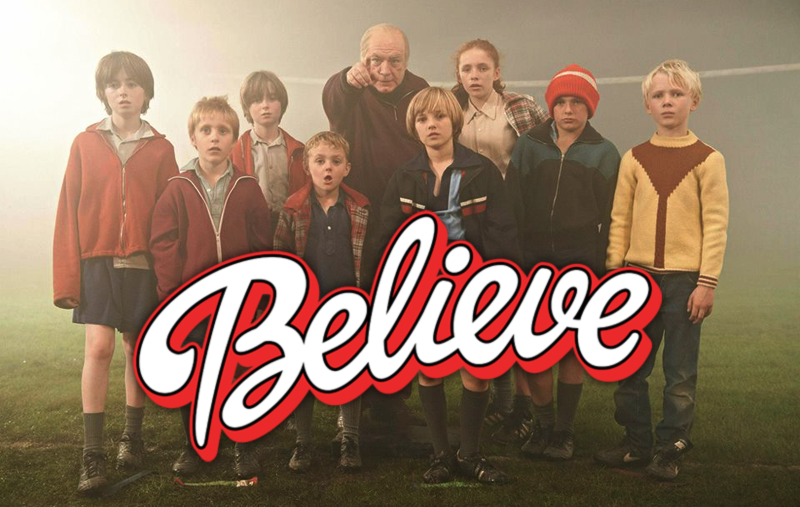 We expect many of you will fancy a night in without football, to watch one of the many great films being released on DVD this summer. Fantastically for us at The Morrison Studio. 4 films we have created the title sequences for go out on UK release in the next few weeks, starting with John Roberts' Day of the Flowers releasing on the 21st July, followed by Pascal Chaumeil's A Long Way Down going out on the 28th July, finally with both John Michael McDonagh's Calvary and Biyi Bandele's Half of a Yellow Sun being released on the 4th August. DAY OF THE FLOWERS Two Scottish sisters, one a left-wing activist, the other a popular party girl, travel to Cuba to scatter their late father's ashes. In losing and trying to reclaim their father's ashes, the bickering sisters set off on a journey that them takes them through romance, danger, and the discovery of old family secrets. A LONG WAY DOWN After he is threatened during a confession, a good-natured priest must battle the dark forces closing in around him. CALVARY Four people meet on New Year's Eve and form a surrogate family to help one another weather the difficulties of their lives. HALF OF A YELLOW SUN Sisters Olanna and Kainene return home to 1960s Nigeria, where they soon diverge on different paths. As civil war breaks out, political events loom larger than their differences as they join the fight to establish an independent republic. 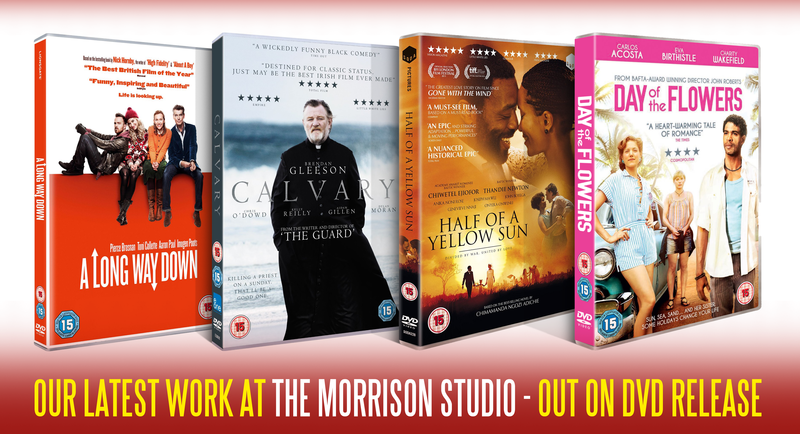 We all think here at The Morrison Studio, that you'll have fun watching these new summer releases. We hope you enjoy our work and we look forward to sharing more with you and some new exciting news in the very near future. Happy viewing!